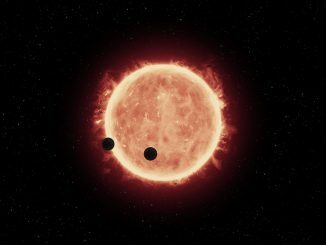 New research indicates most, if not all, of the worlds orbiting the M dwarf TRAPPIST-1 lost whatever water they might have had early in the star’s history due to intense ultraviolet radiation. 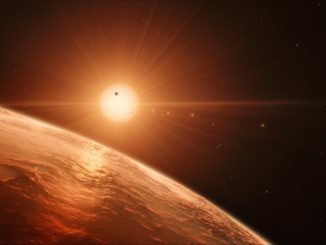 Scientists now have a good estimate for the age of one of the most intriguing planetary systems discovered to date — TRAPPIST-1, a system of seven Earth-size worlds orbiting an ultra-cool dwarf star about 40 light-years away. Researchers say in a new study that the TRAPPIST-1 star is quite old: between 5.4 and 9.8 billion years. This is up to twice as old as our own Solar System, which formed some 4.5 billion years ago. 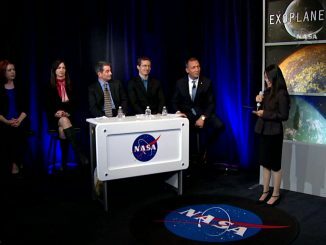 Watch a replay of NASA’s announcement that seven possibly-habitable planets have been discovered orbiting around a nearby star. Seven Earth-sized planets have been discovered orbiting a single ultra-cool dwarf star 40 light years away. 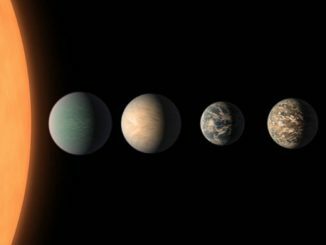 Depending on atmospheric conditions, all seven could potentially be habitable, making the system a prime target for scientists hunting for another Earth. 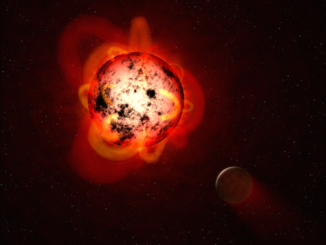 Astrophysicists at the University of Bern conducting computer simulations of the formation of planets orbiting in the habitable zone of low-mass stars, such as the red dwarf Proxima Centauri, show that these planets are most likely to be roughly the size of the Earth and to contain large amounts of water. The distant planet GJ 1132b intrigued astronomers when it was discovered last year. 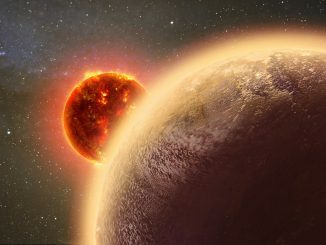 Located just 39 light-years from Earth and orbiting its red dwarf star every 1.6 days, new research shows that despite being baked to a temperature of around 232 °C, GJ 1132b might possess a thin, oxygen atmosphere — but no life due to its extreme heat. 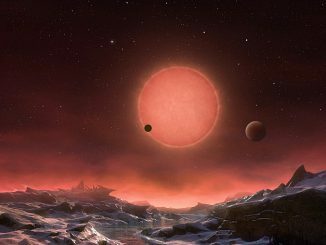 Astronomers have discovered three planets orbiting an ultra-cool dwarf star just 40 light-years from Earth. 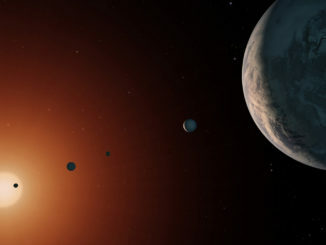 These worlds have sizes and temperatures similar to those of Venus and Earth and are the best targets found so far for the search for life outside the solar system. 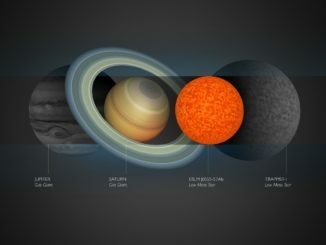 They are the first planets ever discovered around such a tiny and dim star.